← JiC Hits 10,000 Followers – Thank You! On 1 April 2015, Palestine officially becomes a member of the International Criminal Court (ICC). Unsurprisingly, the Palestinian Authority’s decision to join the ICC has instigated a fiery and feisty debate over the wisdom and implications of an intervention by the Court in the world’s most protracted conflict and peace process. JiC is very excited to host a symposium on Palestine and the ICC. The symposium stems from a recent roundtable, organized by Kirsten Ainley and hosted by the Centre of International Studies, at the LSE on ‘Palestine and International Justice’. Why has Palestine decided to ratify the Rome Statute now? What is the history of Palestinian attempts to achieve international justice for war crimes and crimes against humanity committed on its soil? Is Palestine’s accession to the Court a sign of failed diplomacy by external powers? To what extent was Palestine’s decision to join the Court motivated by concerns about justice and to what extent was it a political attempt to undermine Israel? What are the implications of the accession to the ICC for Palestine? 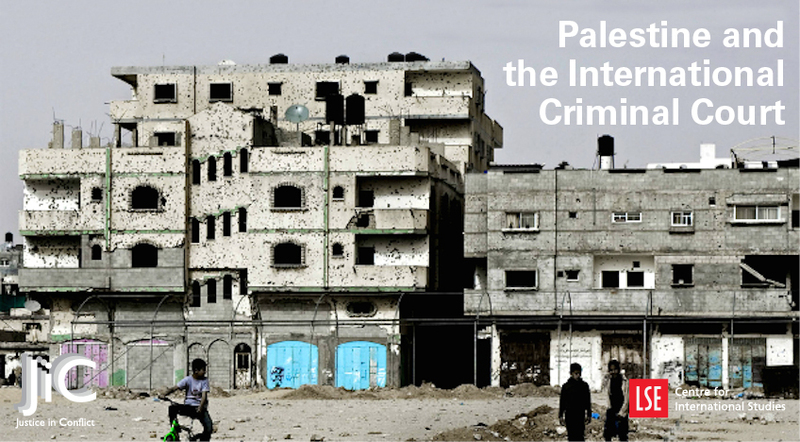 What are the implications of Palestine’s accession to the ICC for the Court? Is it a threat to the Court’s nascent success by introducing politics so centrally to its work? i.e. Is the Court in a no-win position in its decisions on how to deal with the situation in Palestine? What are the implications of Palestine’s accession to the ICC for the peace process with Israel? Is the ICC a barrier to peace, likely to facilitate peace, or likely to have no real effects on the process? How is Palestine’s accession to the ICC likely to impact on the broader politics of international criminal justice? Is it, for instance, an opportunity to rebuild relationships between the ICC and African Union powers? How likely are we to see trials in cases to do with the 2014 Israeli attacks on Gaza or the Israeli settlement policy, which the PLO has indicated it will file complaints to the Court about on 1st April 2015? How likely are we to see trials in cases to do with Hamas attacks on Israeli? To answer these questions, JiC will host articles from a number of scholars and commentators, including Chantal Meloni, Michael Kearney, Leslie Vinjamuri, Dov Jacobs, Kevin Jon Heller, Kirsten Ainley, and myself. As always, we welcome your thoughts. Our goal is to create an open and honest dialogue within a forum that respects the opinions of all participants. This entry was posted in International Criminal Court (ICC), International Law, Israel, JiC News, Justice, Palestine, Palestine and the ICC, Peace Negotiations, Peace Processes and tagged Palestine and the ICC Symposium. Bookmark the permalink.